ActivePresenter - Guide for Beginners - Atomi Systems, Inc.
ActivePresenter is a well-known screen recorder and interactive eLearning authoring tool that allows you to record your screen lively and truthfully with the latest smart capture technology, and create eLearning contents with extensive amount of annotations and animations. Generally, working with ActivePresenter, you will walk through the procedure of recording, editing and exporting. Record: Record anything on your screen in any size and position with or without Full Motion. Import files (videos, images, etc.) and edit them with many powerful tools. Export: Export your works to variety output formats such as videos (MP4, MKV, AVI, FLV, WebM, WMV), images, HTML, documents (Microsoft PowerPoint, Word, Excel, PDF) and HTML5. This guide is created for beginners of ActivePresenter to follow from the start to finish. It covers necessary as well as basic features that a newbie should know to not only get started but to get the most out of ActivePresenter. To be specific, this is a user-purpose oriented work, (guide for users who want to create video demos or tutorial videos and for users who want to create interactive eLearning contents) so you will find the desired information depending on what you use ActivePresenter for. There are many advanced features which are not included in this paper, you can still watch videos and read articles about them in our tutorial series. ActivePresenter is easy and simple to use, even when it’s the first time you make use of it. Just launch the ActivePresenter app, click New Capture and select one of the four capture profiles. In general, two of them (Record Software Demonstration, Record Movie/Streaming Video) are used for creating video demonstrations while the other two (Smart Capture, Smart Capture with Auto FMR) are for creating interactive software simulations. Depending on your particular purpose, you should choose the suitable profile. Between two capture profiles in each couple of them, there are some differences that could matter for some users such as variations in output file size and quality, etc. You might want to see the differences between them in details, then, you should find them at Choosing Capture Profile for Video Demonstrations and Choosing Capture Profile for Interactive Software Simulations. On the other hand, if you want to create interactive eLearning contents, you may want to create a new blank project from scratch. Of course, you can still capture your screen and use it in eLearning contents when needed. Now, let’s get started by clicking New Project and start your journey. 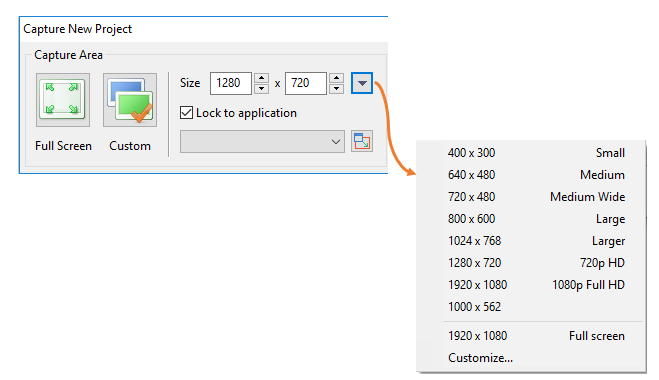 Select a preset size for the canvas and number of blank slides. You can delete or add more slides later, so don’t worry too much about the initial number of blank slides. 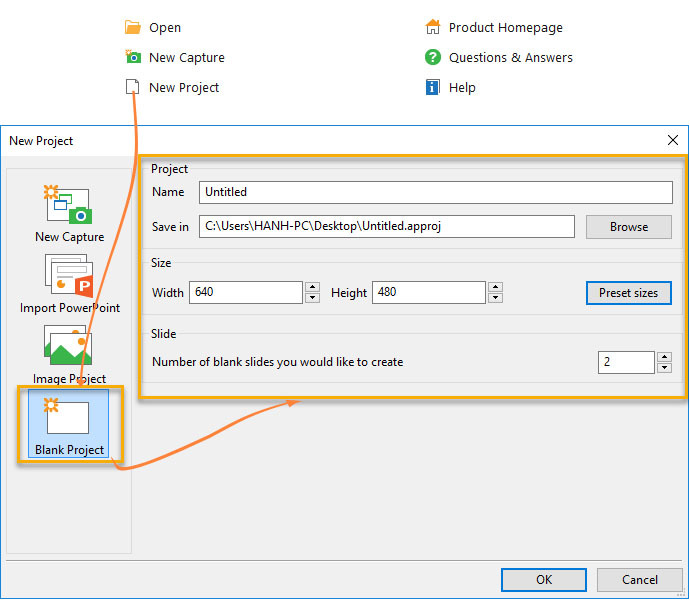 Click OK and ActivePresenter will automatically open a new project with blank slides for you to add contents in. If you have related PowerPoint slides or images that you want to utilize in ActivePresenter, use Import PowerPoint or Image Project. Talking about this, ActivePresenter allows you to import PowerPoint slides into the ActivePresenter project that you are currently working with or as a completely new project. Then you can edit them just like you are working on the PowerPoint slides. Choose to record your screen in either full or custom dimension. 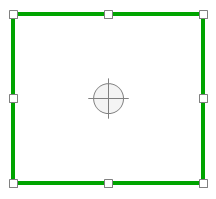 When it comes to custom dimension, you can set any captured size by adjusting the capture frame size and position. You can also choose one of many preset sizes that ActivePresenter offers. Lock ActivePresenter capture frame to the recorded application if needed. Choose the device to record audio narration if needed, then scale the volume. Click Record Audio Systems if you want to record sound from your device during the capture. NOTE: When you choose to record system audio, don’t forget to turn off unused apps that can make ambient noise. When you finish all the settings and preparing the surrounding environment for yourself, click Start Recording button to begin. This is the green capture frame that will appear after you click the Start Recording button. It lets you know that everything that happens on the screen and inside of it will be recorded. You can freely move it to any other position you want and change its size to set the captured area. When you finish recording, press hotkey Ctrl + End to stop. OR you can access the ActivePresenter icon placed at the bottom right corner of your screen, then click Stop in the dialog that appears. Keep reading to understand how to edit your projects. After finishing the record, ActivePresenter will automatically transfer your work into the editing screen with a very clear and easy-to-navigate user interface. The Canvas (preview window) is placed at the center of the working screen. It shows all the objects as well as all of the effects that you insert in. In any occasion that you want to zoom in to see more clearly a specific part of the Canvas, you can use the zoom scale on the bottom right corner of the working screen. OR press Ctrl while scrolling the mouse up and down. And click the Zoom Fit icon to have the Canvas fitted with the proper size of the editing screen. 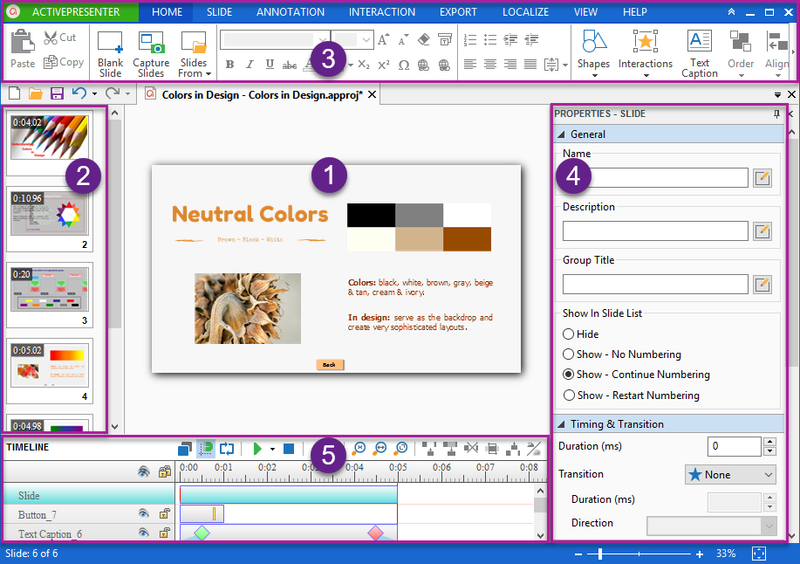 The Slide Organization pane is placed on the left of the screen. It contains all slides (each slide can be a step of the procedure or can be a video) that you have created. You can change the slide name and position, copy and paste slides, add new or remove slides from here with ease. The latter part of this article called Edit Captured Videos and Slides will indicate the way you can work with them. NOTE: How to add more blank slides? Open the Home tab and click Blank Slide icon, ActivePresenter will automatically insert one blank slide for you. The Tabbed Toolbar is positioned at the top of the screen having many tabs. Each tab contains a group of relevant activities. During the editing process, you will work mainly with the Annotation and the Interaction tab because they have almost tools and options to magnify your work. 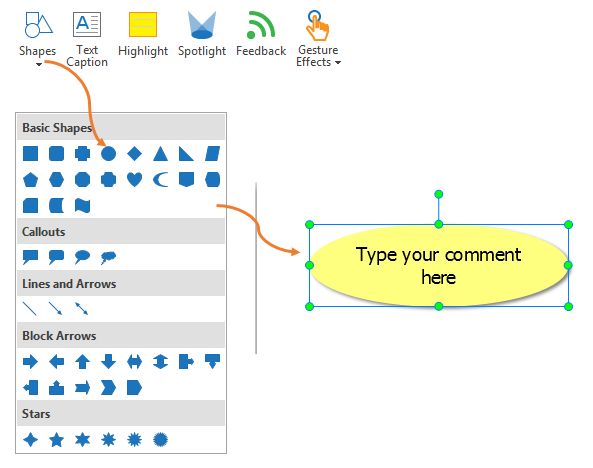 You can insert a wide range of annotations to your project such as shapes, text captions, spotlights, zoom-n-pan, etc. It’s easy to add any one of them. Just click on the object icon that you want to have and ActivePresenter will automatically insert for you. Sometimes, a spotlight or a highlight is used to draw audiences’ attention to a specific part of the screen while closed captions are added to make your video more explainable. Besides, you can use the Zoom-n-Pan tool to focus on just a particular part of the screen instead of the whole one. All of them together will enhance your videos and make them look much more professional. Besides, if you want to use the Picture in Picture feature with ActivePresenter, you can insert other videos into your captured videos. By doing that, you could have your own video played while the recorded video is displaying to explain or to describe more visually what’s happening on the screen. The Interaction tab contains various types of interactive objects that you could use, especially in creating contents that require user responses such as eLearning courses or interactive software simulations. Because those kinds of objects can interact with users in pre-specified manners. Use 9 types of interactive questions to create interesting quizzes. You can track and mark the learners’ result if needed. The Properties Pane which is on the right side of the editing screen contains all the attributes of the object(s) that you are working with, namely slides, shapes, images, videos, etc. For clarification, as soon as you select any shape on the Canvas, the Properties pane will show all the attributes of that shape in terms of color, style, timing and transition effect, etc. Just access the attribute that you want to adjust and change it from here. The Timeline Pane is located at the bottom of the working screen. It shows all the objects of the slide that are displaying on the Canvas along with their timeline bars. The Playhead shows the current timestamp of the objects that are displayed on the Canvas. It has a green Start Marker and red End Marker, you can drag them along the Timeline to select a range. After that, you can apply any command (such as cut, crop, insert freeze-time, etc.) to that selected range. One thing you should know is that you can zoom in or out the Timeline to work more easily and exactly with objects and their timestamp. Just click the Zoom in/Zoom out/Zoom Fit icon. OR you can hold Ctrl while scrolling the mouse up or down to zoom in or out. NOTE: When you select a range while don’t select any particular object, the commands you use will apply to that range along with all of the objects inside. On the other hand, if you select a range, and do select one or some objects, the commands you use will, in fact, apply to that range along with those selected objects only. Other unselected objects will not be affected. As being said above, the captured videos and slides will be placed at the Slide Organization pane on the left side of the editing screen. In order to have another slide viewed in the preview window (Canvas), just click to select it in the Slide Pane. As soon as you select the new slide, the Canvas will show that one and you just need to add contents in. Added to that, you can insert any video and audio file under multiple formats from your computer in ActivePresenter to edit like editing any captured video. That said, you won’t need other video editing software anymore. Below are some of the most usually used options that a beginner should know. In creating a simulation, a slide may be a step of a procedure that you have made. There are possibilities that you made mistakes in some steps and you need to delete them away without affecting other parts of the project. Luckily, you can delete slide(s) containing those steps. To delete any slide, just select it and press Delete key on your keyboard. Hold Ctrl while clicking to select multiple slides and delete multiple of them at once. It’s easy to split a slide into different smaller slides. 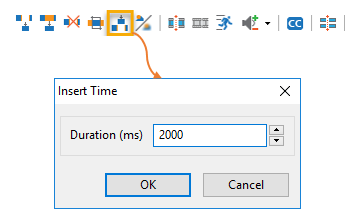 At first, you have to let ActivePresenter know where to split by selecting the timestamp, then click the Split Slide icon. Remember that all the objects (shapes, images, videos, etc.) in the original slide will also be split at the timestamp that you choose. The later part of the split slide will be moved to a new separated slide. 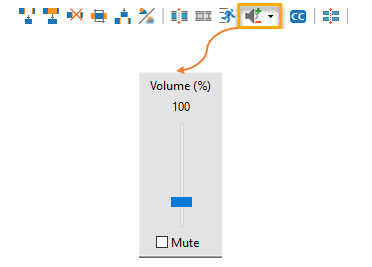 Normally, ActivePresenter arranges all slides in the Slide Pane in the order of recording steps that you have made, however, you can still change that sequences by simply clicking and dragging the slides up or down to new positions. In recording a video demonstration or tutorial video, you may want to delete some captured video parts that don’t contain needed information or parts that you made mistakes away. Select that range and click the Cut or Delete icon. The selected range will be deleted, and the remaining parts will be automatically joined together without any affection. Similarly, if you want to copy any range of the captured video, just select that range and click the Copy Range icon. After copying the range, you can paste it in the same slide containing the original video or a new slide by simply clicking Ctrl + V.
The tutorial video about how to cut/delete/copy video ranges is available on our website, click here to see how to do that step by step. ActivePresenter allows you to split a video into as many parts as you want. And vice versa, you can join as many pieces of videos as you want into a single piece of video. Select the timestamp and click Split or Join icon. After splitting, you can treat each video part as a separated one, and all the features that apply to captured videos apply for it too. You can refer to the tutorial How to Split and Join Videos to have a closer look at how to do that. This tool (also called Insert Freeze-Time) is critically helpful when you want to have more freeze time for your videos so as you can add some clarifications or explanations on. To do that, select the range and click the Insert Time icon and specify the duration in the pop-up dialog. Click here to see in details how to insert time to your videos. NOTE: ActivePresenter will insert time from the position of the Playhead, so you should place it at the target timestamp. Hiding sensitive information, even it’s moving, is not difficult with ActivePresenter. 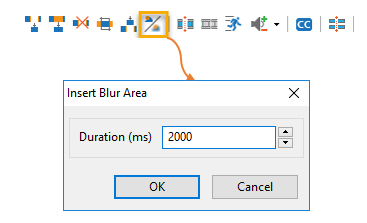 Select video range containing object/information that you want to hide, then click the Insert Blur icon and specify blur duration. With the moving object, you will need to add more keyframes to blur it exactly. We have a detailed tutorial about how to blur moving objects, let’s come and take a look. NOTE: You have to click the video object to select it, otherwise, the blur icon will not be available to use. The Zoom-n-Pan is used when you want your audiences to see clearly just a particular part of the screen instead of the whole one. It’s a ton so important when your video demos or tutorial videos cover a wide range of screen having so many small objects needed to be seen clearly. Normally, you should insert one Zoom-n-Pan to zoom in, and insert another Zoom-n-Pan (scale to cover the whole screen) to zoom back to normal size. After the Zoom-n-Pan appearing on the Canvas, you can drag one of four green handles to adjust the zoom scale. Let’s come and check out the tutorial Working with Zoom-n-Pan for more details. When creating projects, there is a high chance that there are some parts of the recorded video containing not important information like downloading process, for example, and you want to speed it up. Doing this will not only decrease the output time duration but also increase the viewers’ experiences. On the contrary, you can also slow it down when there is any part that you want viewers to take a careful look. Select the video part and click the Change Playback Speed icon. Then specify the desired speed in the pop-up dialog. Whatever number which is greater than 100 will make your video play faster and vice versa. Of course, you can change the speed for the whole video. In that situation, click the video to select it instead of selecting a specified video range. Whenever you want to come back to the original speed, check the Reset to original speed checkbox. The Changing Video Speed tutorial features all needed and detailed steps to work with that, come to check it if needed. 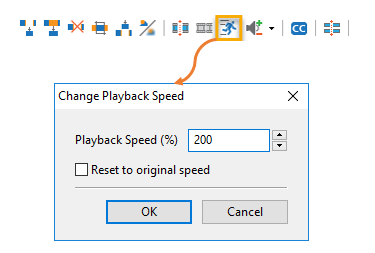 Similar to changing the video speed, you can increase or decrease the volume for the whole video or just some parts of it. Select video range and click the Adjust Volume icon then scale it the way you want. The tutorial about how to change video volume is available on our website. Let’s come and take a look to see more clearly how it works. Needless to say, Closed Caption plays important role in creating videos. Using it, users will have the capability to understand the videos even when they are in noise restricted area, or in case the narration language is not their mother tongue. In order to have a Closed Caption, click the CC icon and type in the Closed Caption box that appears in the Canvas. In ActivePresenter, you can have as many Closed Captions as you want. However, they display in order of time, so there is only one Closed Caption can be shown at one time. After capturing your screen as videos having mouse cursor recorded, you can change its attributes such as cursor shape, color, mouse click sound and effect. This will help a lot in drawing audience attentions to your mouse movement on the screen hence making it easier for them to keep track with the contents. To do that, you can come to the Cursor Effect section in the Properties pane and change the attributes you want. 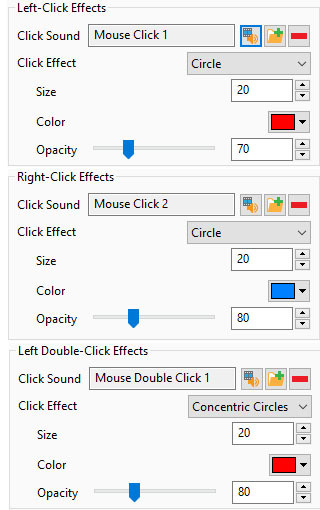 Similarly, you can change the click sound and effect for left, right and double-left mouse click. 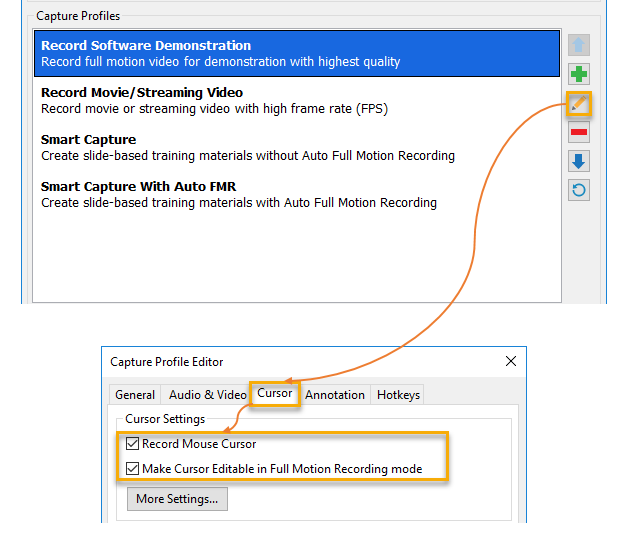 If the information above is not detailed enough for you, then the tutorial Changing Mouse Cursor in Captured Videos is available, you can refer to it to have more details. NOTE: How to have the mouse cursor in captured video? 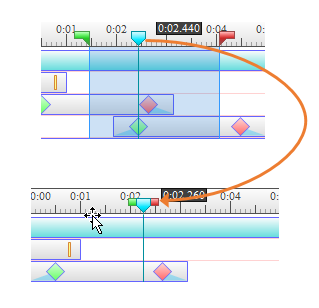 Usually, ActivePresenter lets the default mouse be recorded in the shape of an arrow without any color for the cursor. It also has default click sound and effect. In order to change those attributes, you have to enable ActivePresenter to record the mouse cursor before starting to record. Below is how to do that. 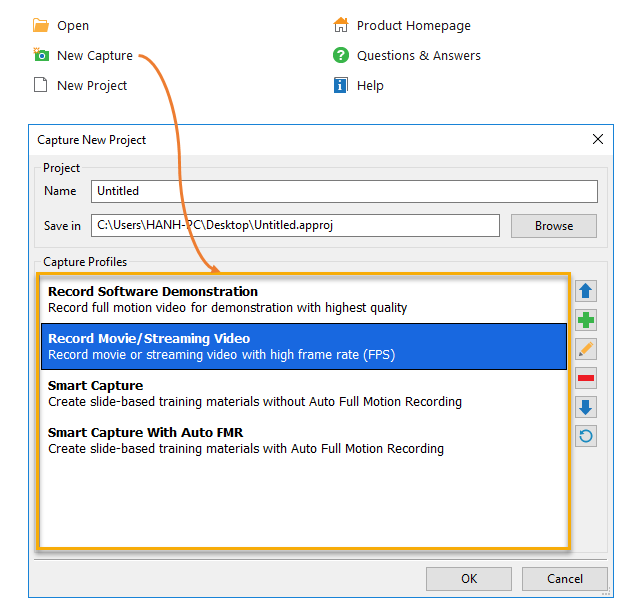 Under the Capture New Project window, click the Edit Capture Profile icon then check both Record Mouse Cursor and Make Cursor Editable in Full Motion Recording mode checkboxes in the pop-up dialog. Finally, let’s export your projects that you work so hard to achieve to appropriate output formats. As being shown in the Export tab above, ActivePresenter offers you 8 types of output formats among which you can choose the one that meets your requirements. As an illustration, while video must be the target output for those who create video demos or video tutorials, HTML5 Simulation (with SCORM and Tin Can API supported) will be the target format for those who create interactive eLearning contents.